What just happened? The wait for the first smartwatch to use Qualcomm’s Snapdragon Wear 3100 is over. The Montblanc Summit 2 is available today at a price that reflects its “luxury” designation. At $995, it’s not going to be for everyone. Known for its lineup of expensive writing instruments, watches, jewelry, and leather goods, the company says its second smartwatch comes in a 42mm case that’s “designed for men and women.” The first Summit has a larger, 46mm case that can look massive on thinner wrists. In addition to the 1.2-inch AMOLED display (390 x 390 resolution), there’s an “improved” algorithm used in the heart rate sensor, built-in GPS, Bluetooth 4.2, Wi-Fi, NFC for Google Pay, and water resistance up to 50 meters. You also get a big rotating crown along with two buttons that can be programmed to launch various apps, along with a built-in microphone that enables voice commands via Google Assistant. Specs-wise, the Montblanc Summit 2 features 1GB of RAM and 8GB of storage alongside the Snapdragon Wear 3100. Qualcomm’s new chip focuses on one of the biggest issues with wearables: battery life. While the Summit 2 is still only rated for just one full day of use, the low-power secondary processor allows for a “Time Only mode” that adds another 4-5 days. 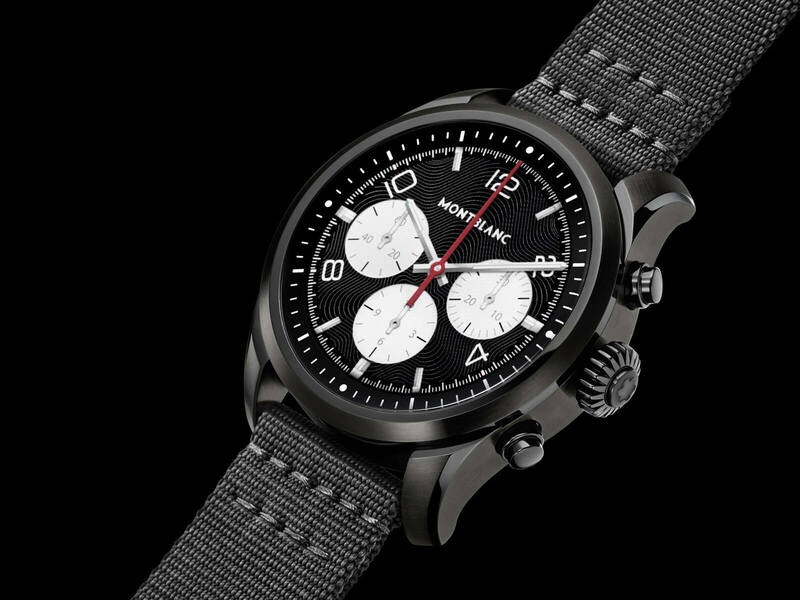 The Montblanc Summit 2 is aimed at jet setters with plenty of money to spare—custom apps include a travel companion called “Timeshifter,” which advises how to combat jetlag based on a user’s flight times and sleep patterns. While there are more expensive smartwatches available, including Tag Heuer’s $1200 Connected Modular 41, the Summit 2’s $995 price tag is double that of the Apple Watch 4, LG’s Watch W7, and Casio’s Pro Trek WSD-F30 (almost). But like Tag Heuer’s device, the Summit is designed for those with plenty of disposable income.